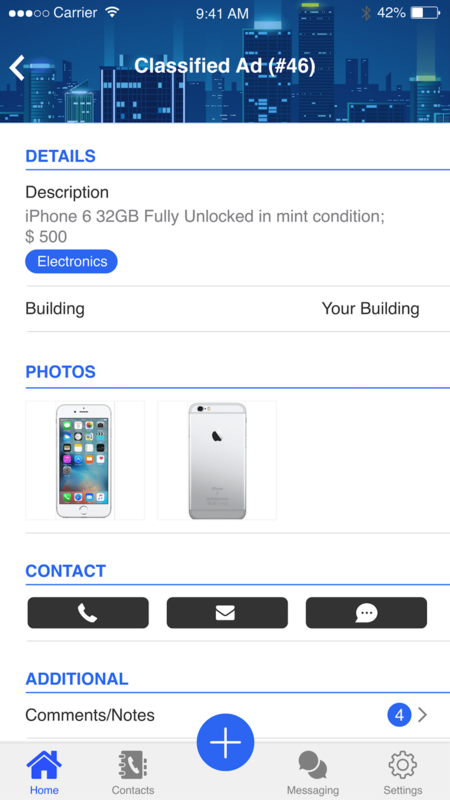 Property Apps has developed a Classified Ads system designed to be utilized in a building’s community setting by tenants. This module is designed to publish jobs, post items for sale, etc. 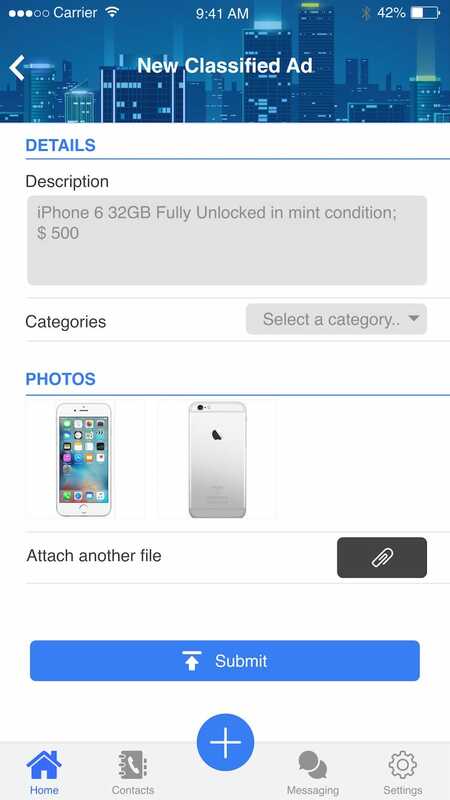 with both rich text and photo uploading capabilities. Although this module is offered by Landlords, it is used by tenants for the purpose of trust based exchange and engagement. Our social modules are built to automate connectedness with the belief that tenants that feel safe, engaged and familiar are more likely to respect their environment and maintain residence longer. Property Apps offers the best software for rental property managers because of our commitment not only to streamline your existing procedures but by finding new ways to add value to your business. 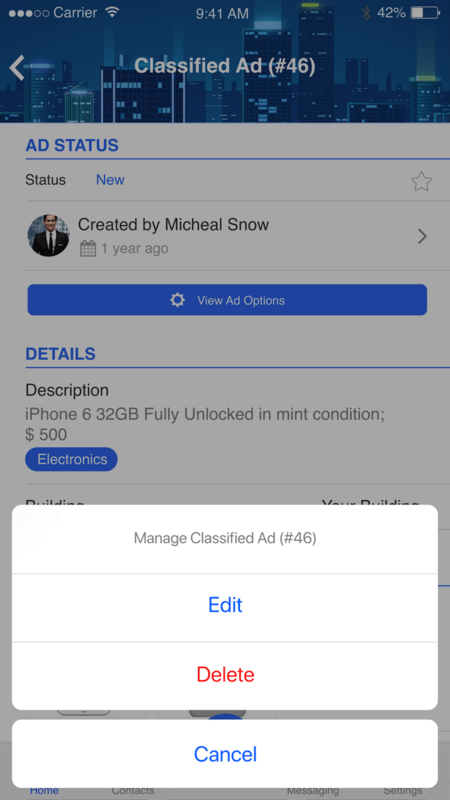 Turn your building into its own micro-marketplace with Property Apps’ Classified Ads module. Everything is about engagement. By providing tenants with a structured platform to exchange goods and services, there is potential to turn a building with tenants into a community. 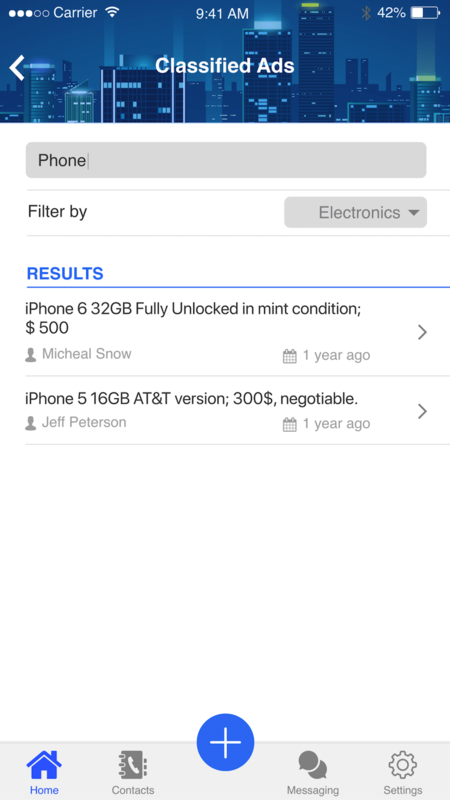 The classifieds search tool ensures intuitive, well-indexed and smart querying of published content in the system. The module was designed to facilitate and promote community engagement, conformity, accountability and increased accessibility. A connected building is valuable to both tenants and Landlords. Additionally, when implemented correctly with sufficient tenant buy-in, prospective tenants see these things as a point of differentiation. Plus, the cost of implementation and onboarding is incredibly low. Our research shows that buildings that have engaged tenants have less difficulty collecting rent, more flexibility managing tenant requests and longer lease periods.